The building is focused around two simple, yet elegant central gable forms. The form responds to the surrounding environment, does not overpower the adjacent park site and reflects the ideals of the Shelter. Aesthetically the design can be described as low profile, soothing, and welcoming at a pedestrian scale. 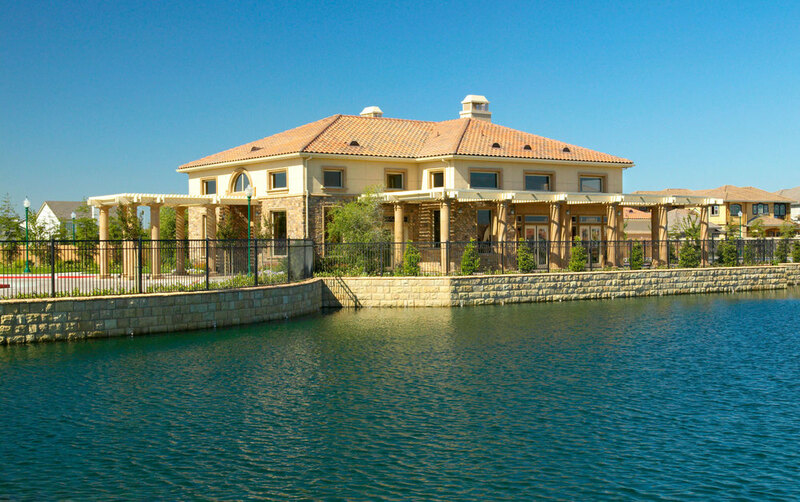 The building is a hybrid construction with the main administrative spaces to be built from wood stud framing with gang-nail trusses while the animal housing areas are built of concrete masonry for sound isolation and extreme durability. This hybrid solution represents the most cost effect type of construction around. The simple use of the main building forms along with the selected materials provide for a simple civic architecture the responds primarily to the need of the users and visitors. The overall design provides a functional yet easy layout to navigate respective adjacencies and public and private areas. 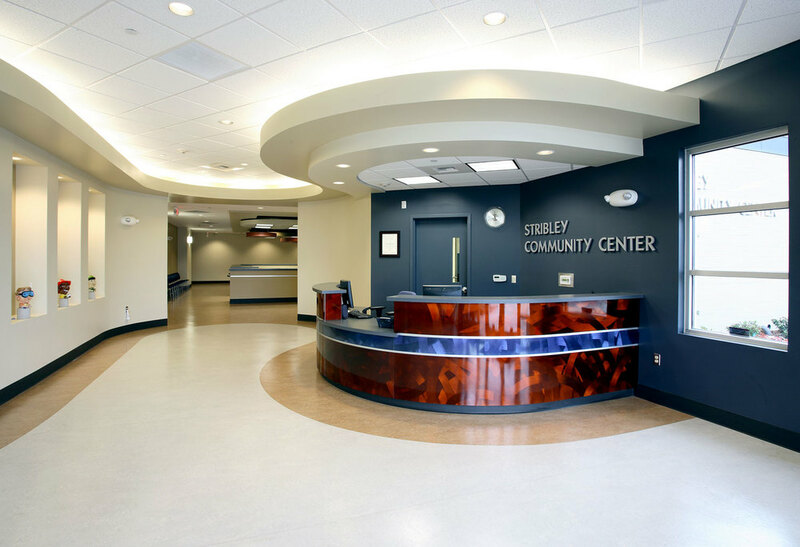 LDA Partners designed the new 8,000 SF Spanos Community Center to address the programmatic needs of the community. 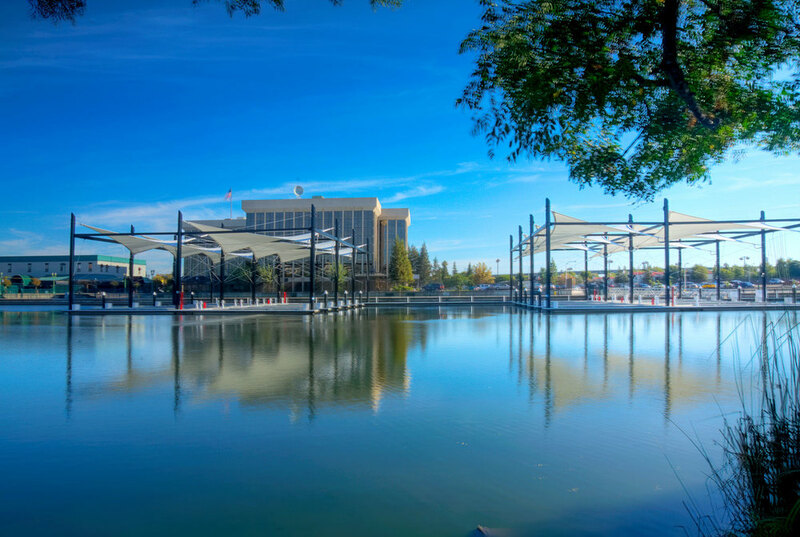 Located in one of Stockton’s newest neighborhoods, the site is adjacent to a man-made lake and provides banquet, reception, and meeting spaces, tennis courts and a swimming pool for nearby residents. Working within the community design guidelines, building material selection and details were paramount. 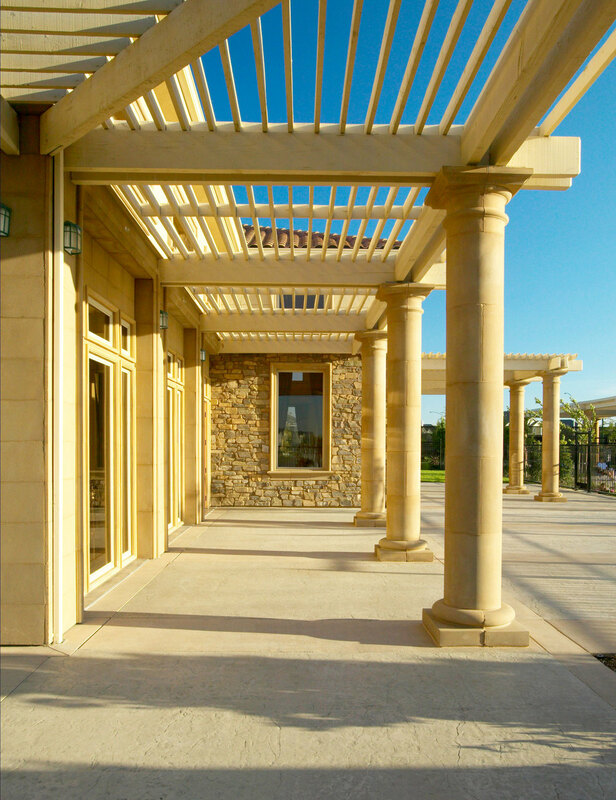 Stone columns and wainscoting, along with a neutral color scheme were used to create a harmonious connection with the surrounding community. When the City wanted to create a teen center, they came to LDA. Utilizing a closed 18,000 SF 1940’s era bowling alley as the new home for the facility, LDA transformed this building, in severe disrepair, into a new teen center. This included keeping the original art deco style building intact while creating a unique spot for teens. The refurbished facility includes four refurbished bowling lanes, basketball court, stage for music events, computer labs, classrooms and areas to host after-school activities. In order to make this teen center a success for the City, LDA worked with the Youth Advisory Commission and held numerous teen workshops and idea forums. LDA interviewed youth groups locally and from the surrounding area to fully engage the teen community, understand their needs for the facility and ‘pre-sell’ the facility to the local teen population. LDA was tasked with relocating the original Manteca Animal Shelter to it’s new site due to the City’s corporation yard expansion. 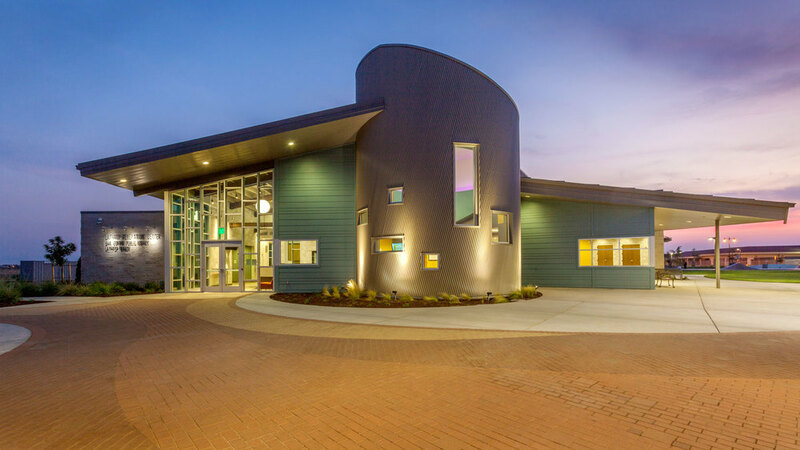 By developing a progressive design, LDA created a new facility that promotes animal health and recovery, provides staff and animals with a clean environment and one that exemplifies modern animal care. Using durable and eco - friendly materials, LDA’s design not only provides a superior work space and functionality, but also provides ease of maintenance. This project also created a public awareness of the purpose of animal shelters and proper animal care. The result is a new, 21,000-square-foot community center building, which includes areas for dance, sports, meetings, seasonal day camps, senior programs, after-school care, drop-in family programs, classrooms, basketball courts, a weight room and common areas for events. There is also a Stockton Police substation located at the venue, offering both services and security to those in the neighborhood. 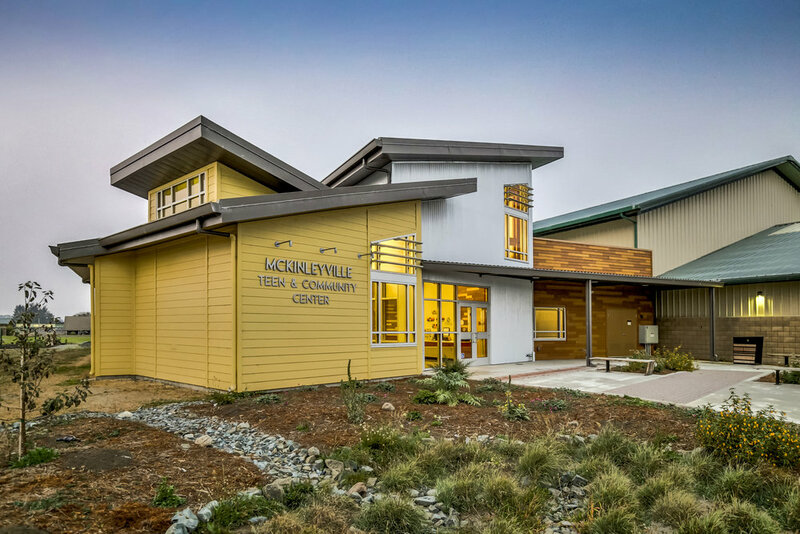 Featuring a barn motif design that celebrates the area’s rich agricultural history, this community center is the most profitable community center operation in the city. The Hope Family Shelter was a labor of love and giving back, and served as the original community hospital for the city of Manteca in 1919. The City Hope Ministries and the City of Manteca engaged LDA to convert the dilapidated building into a transitional shelter for families. LDA conducted extensive research to explore the building’s original character while at the same time determining a programmatic fit for today’s operation. The outcome was safe, transitional housing located in the community and an heirloom now displaying the building's former beauty and grandeur.